If there is one thing that we value in this part of the world, it's nature. Throughout our history this community has prized the outdoors, and that's evident in the sheer number of parks you'll find here. One will also find that our region is full of unique places that help set the Puget Sound apart. Washington residents tend to feel a close connection with nature. The parks in our area represent an important part of that relationship. You'll find a number of great places to enjoy the greenery both inside and outside of the big city limits. Seattle's dedication to parks and natural spaces is almost as old as the city itself. Today the city's parks and public spaces are one of the greatest contributions to the high quality of life enjoyed here. Washington has an extensive state park system that showcases our region's natural beauty. From dense evergreen forests to high ocean bluffs, the splendor of the northwest is best experienced at a leisurely pace. 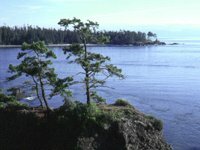 Here is a look at some of the State Parks within the North Puget Sound area. Inside Seattle and around the Puget Sound there are a number of landmarks that are important for residents and tourists alike. From outdoor gathering places to eclectic neighborhoods, there is much to discover in our area. Every city has its own little quirks and secret places. Seattle is filled with landmarks that are tied to its history and culture. Whether exploring the city for the first time or just hoping to get to know the city better, these stops around the city are an essential part of the Seattle experience. A number of landmarks around Western Washington contribute to our area's identity. These locations provide us a connection to the Puget Sound's unique culture, history and geography.